These are the BEST chocolate chip cookies. No one will believe that they are vegan! Soft, fluffy, sweet and delicious. 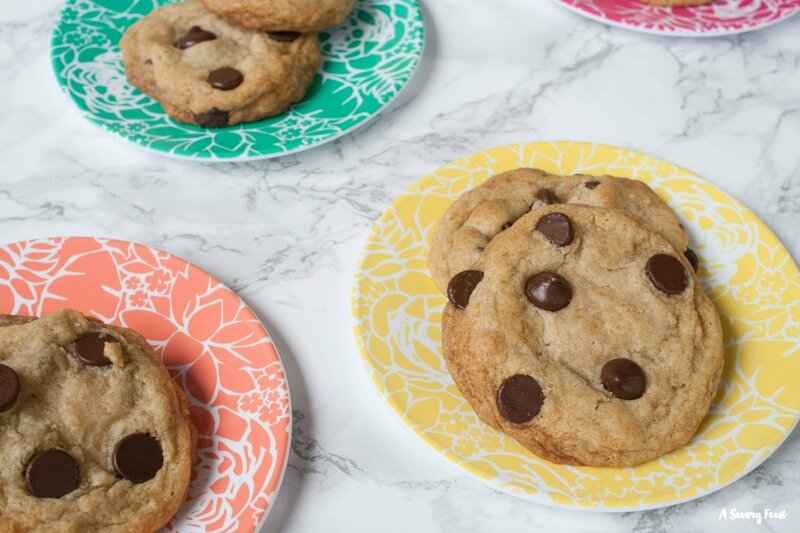 These Vegan Chocolate Chip Cookies are the perfect afternoon snack! Chocolate chip cookies have a special place in my heart. 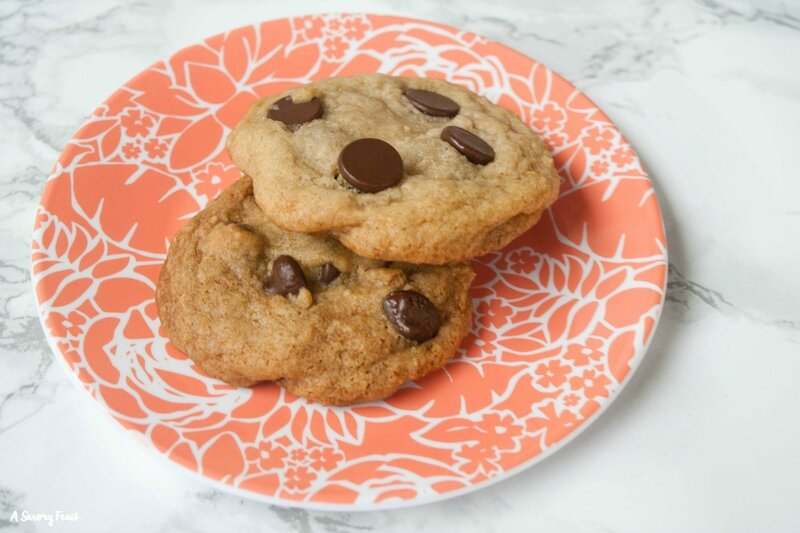 You just can’t beat a soft chocolate chip cookie! 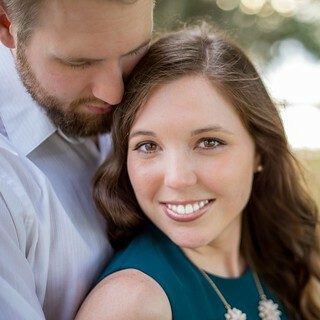 If you’ve been following along with my recent recipes you probably read that I am currently on an egg free diet because of my 10 month old’s food sensitivities. 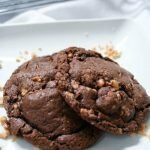 Most of my favorite cookie recipes contain egg, so I’ve been trying out substitutes. These chocolate chip cookies are made with applesauce instead of egg! It’s a great substitute and adds a bit of extra sweetness. This recipe is also made with coconut oil instead of butter so it’s dairy free as well. A couple weeks ago I shared a recipe for my homemade Pear and Apple Sauce. I used it in these cookies! It’s great because it’s sugar free so I’m not adding extra sugar to the cookies. 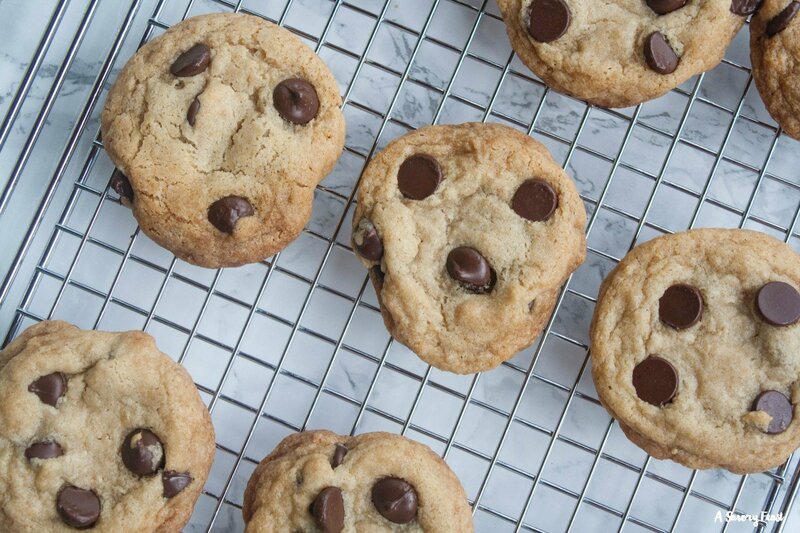 To make these cookies dairy free, you will also need to use dairy free chocolate chips. If you aren’t avoiding dairy, just use your favorite chocolate chips instead. 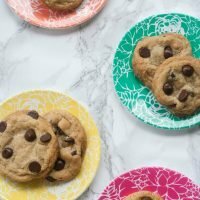 My husband told me that these are his favorite chocolate chip cookies! Even though he can eat cookies that contain egg, he liked these better. I promise, you won’t even miss the butter or the eggs. 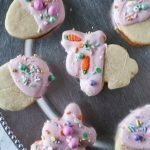 These cookies are so quick and easy to mix up! 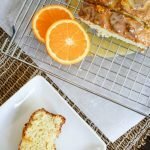 They are great for an afternoon snack or satisfying a late night craving. 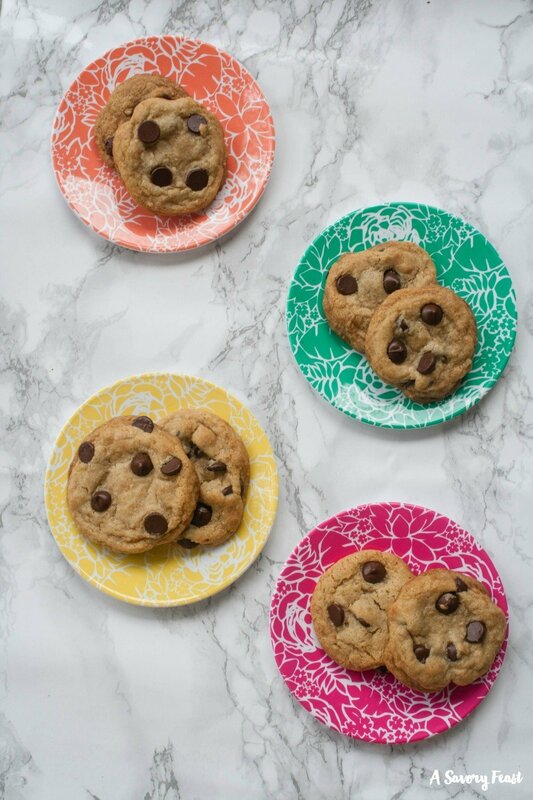 Here’s a super quick tip to make sure your cookies look just as pretty as these pictures! 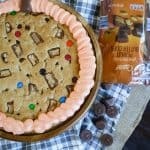 After you place the spoonfuls of dough on the cookie sheets, take some extra chocolate chips and add them to the top of the dough. That way you make sure there are chocolate chips showing on the top of the cookies, and not just inside. These are the BEST chocolate chip cookies. No one will believe that they are vegan! Soft, fluffy, sweet and delicious. 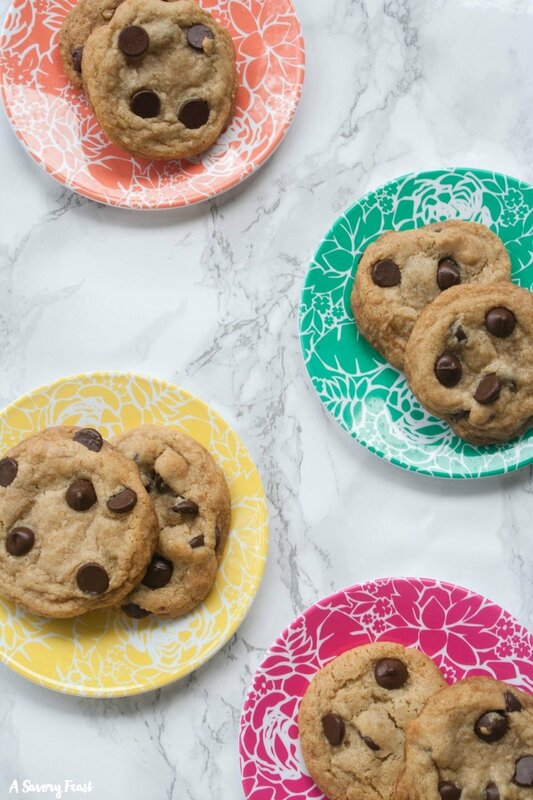 These Vegan Chocolate Chip Cookies are the perfect afternoon snack! No eggs or milk, this recipe uses coconut oil and applesauce instead. In a small bowl, combine the flour, salt, baking soda and baking powder. Set aside. In the bowl of your stand mixer, mix together the coconut oil, brown sugar and sugar. Stir in the applesauce and vanilla. Slowly add in the flour mixture a little at a time, mixing until combined. Use a spatula to fold in the chocolate chips. Place the dough by tablespoon-fuls onto an ungreased cookie sheet. Bake for 10-12 minutes or until just browned. Let cool for a couple minutes before transferring to a wire rack. Store in an airtight container for 3-4 days.